SO much of the popularity and subsequent rise of this film was because of the teenage rom-com culture that was happening in entertainment at the time. The Buffy film had come out a few years before, which starred Luke Perry from 90210. Following that was the rise of Party of Five and Dawson’s Creek, which was created by Kevin Williamson, and heavily promoted his interest in film and horror story telling. 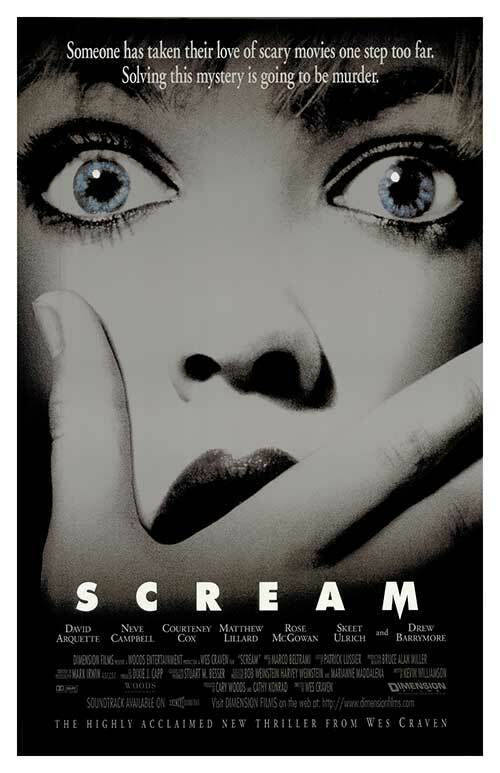 Scream was essentially the first “teenage rom-com horror movie,” and it was based on a Matthew Lillard/Sarah Michelle Gellar (Buffy!) universe that was already hugely popular. love the podcast, since stern has become unlistenable in the last few years I need something to fill my time at work. So when I find a good one I breeze through em pretty quick but I gotta tell ya I’ve never went through a library as fast as I did yours. You really know how to broadcast in a professional manner and the list of films from my youth makes me long for the good ol days of havin to rewind or be fined. If I could can I ask that at some point you guys do Soylent Green. When it comes to movies that fucked me up as a kid that’s at the top of the list. Plus chuck Heston and the history of that film is legendary. Hey Daniel, thank you so much for listening, and thank you even more for taking the time to message us. We’re so glad you’re enjoying our catalog and were able to get through it so quickly. Lol It certainly makes us doing the show that much more rewarding.